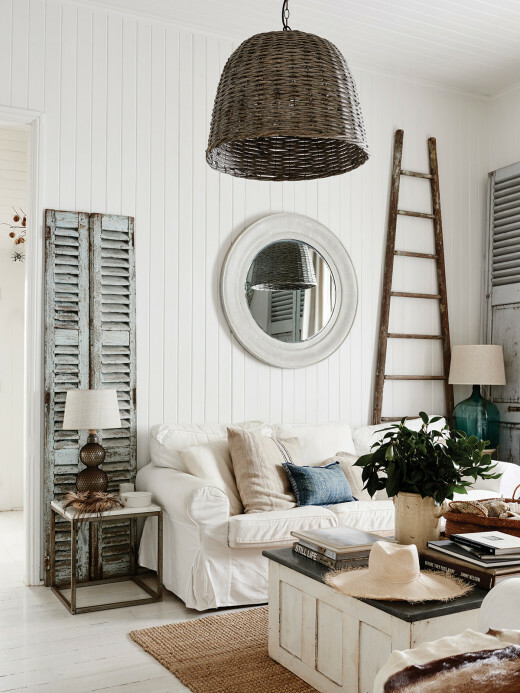 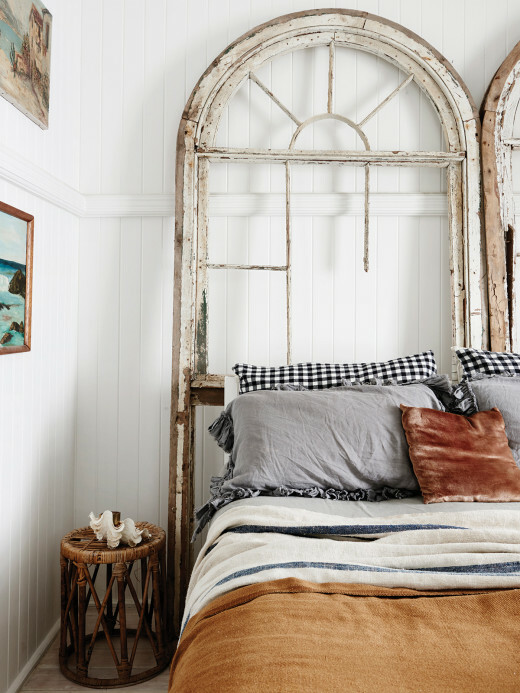 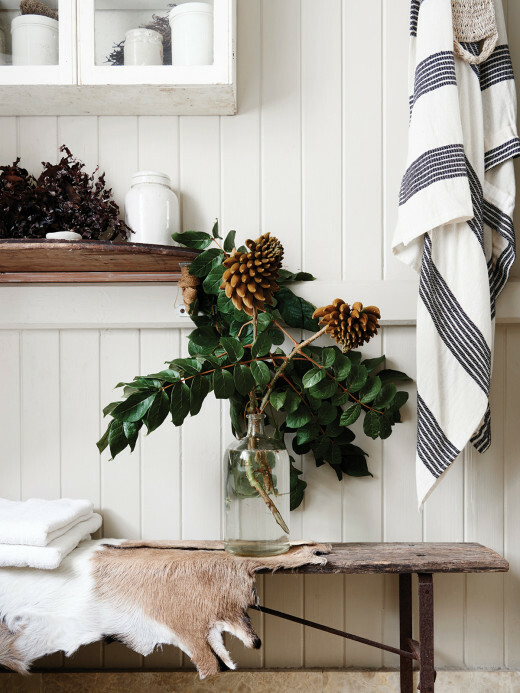 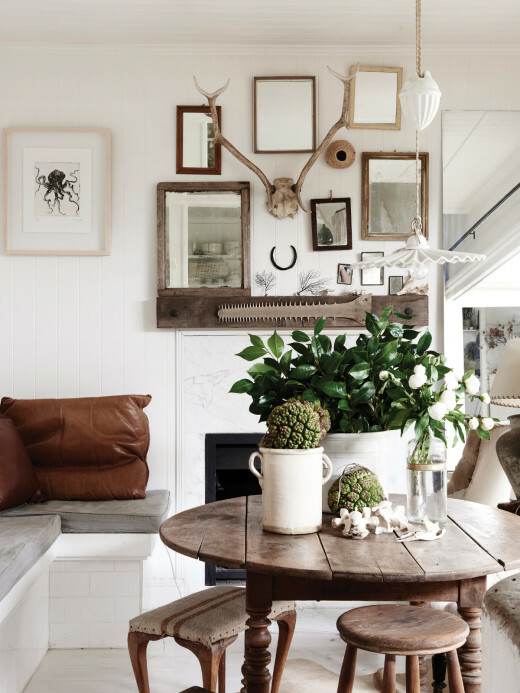 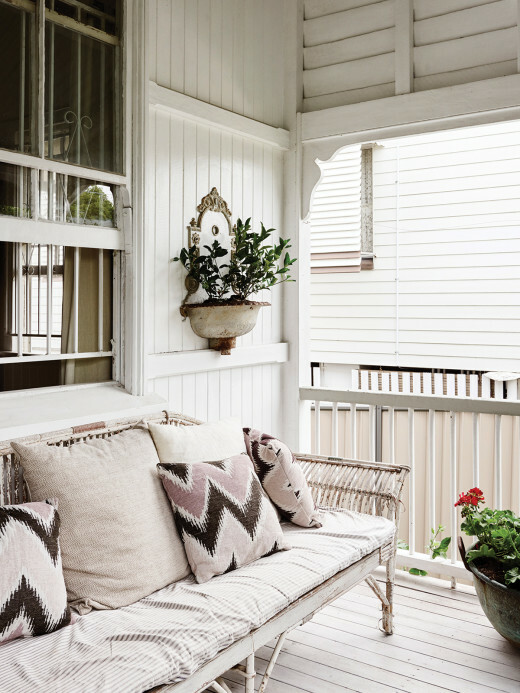 Today we visit the beautiful home of Brisbane sed stylist, photographer, collectoe and author Kara Rosenlund. 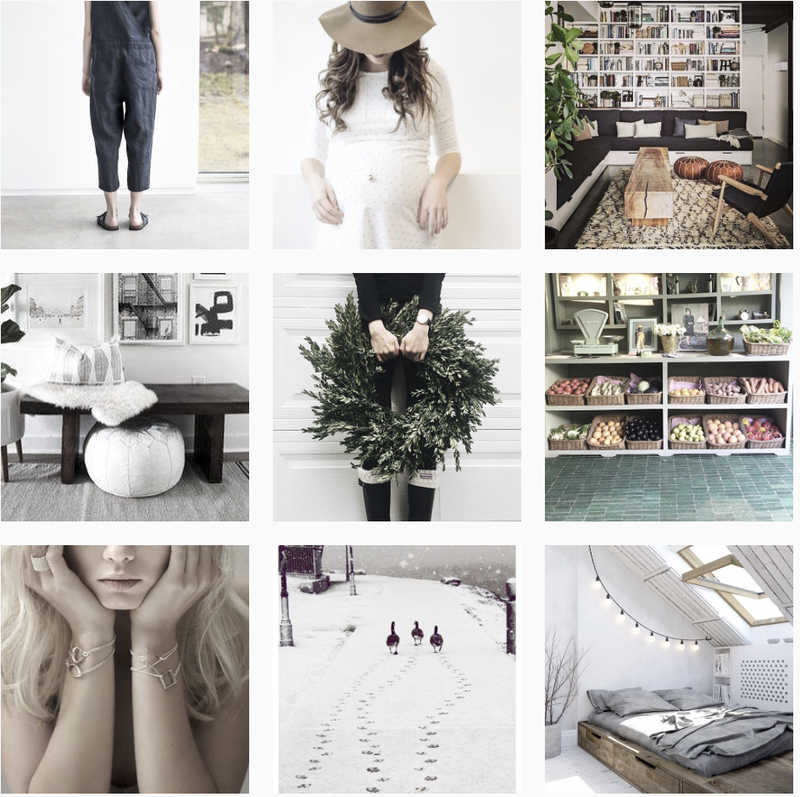 I love her distinctive aesthetic. 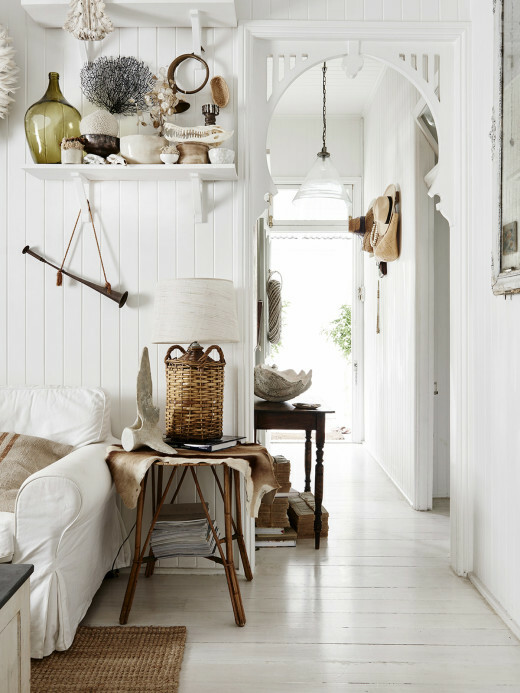 The home is a simple three bedroom cottage, built around 1900. 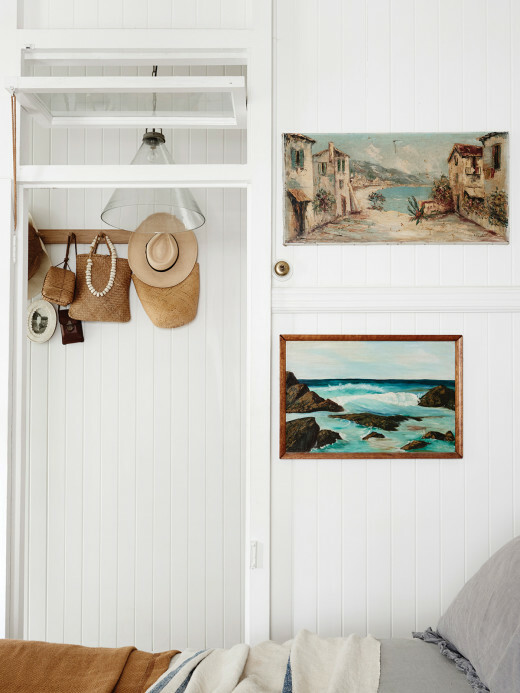 ‘Workers cottages were designed to be small yet efficient homes, with high ceilings for the hot air and hallways running straight through the house to catch the breezes’ explains Kara. 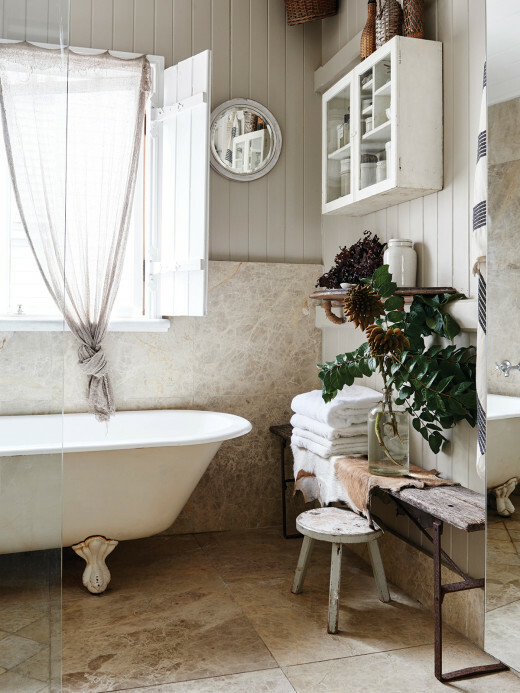 With careful respect for the home’s Victorian features, Kara has utilised her signature neutral palette here, layering collected ephemera and rustic details over soft white and grey tones. 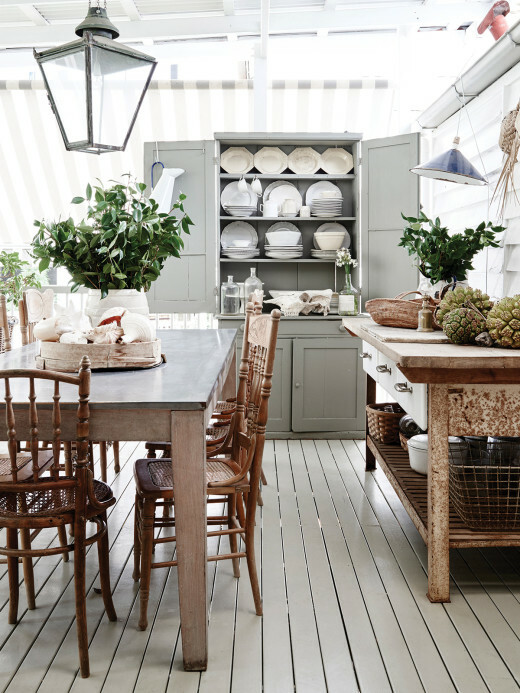 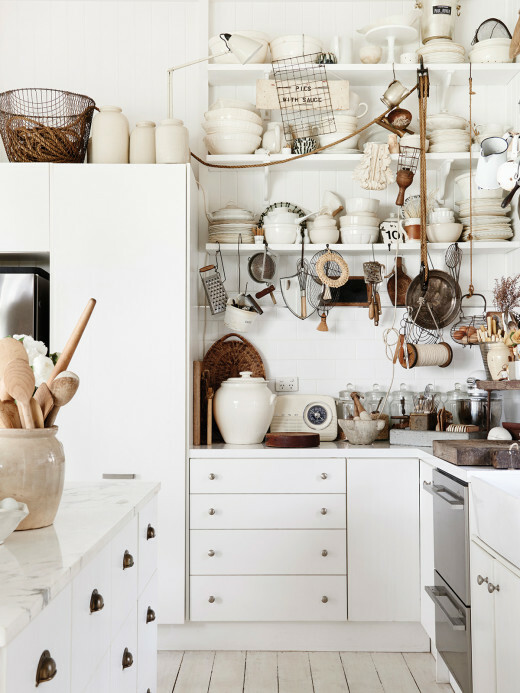 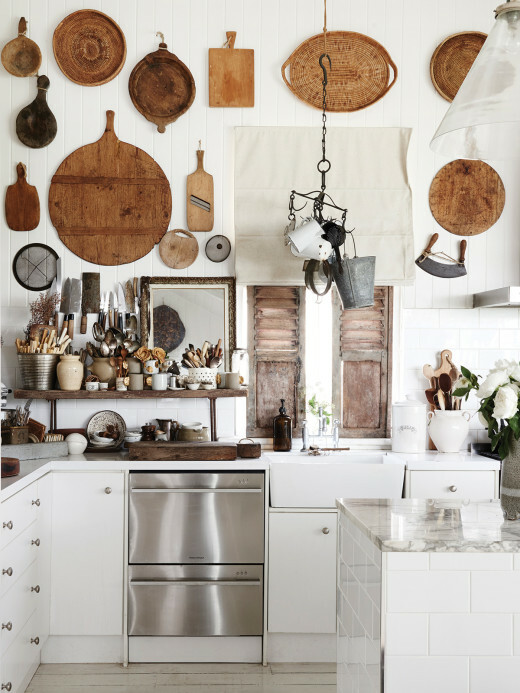 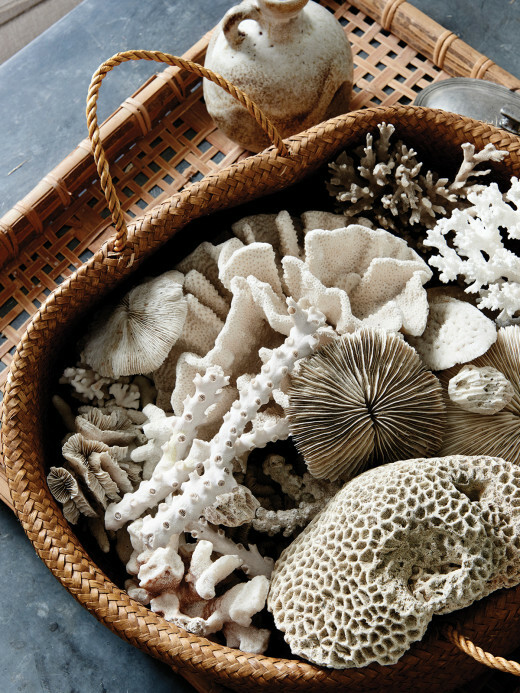 Collections of vintage breadboards, handcrafted ceramics and aged kitchen utensils are displayed en masse, to great effect.